Church choir chairs are available in a variety of designs including the standard Oak-Lock, Ply-Harp and Ply-Bent chair designs. 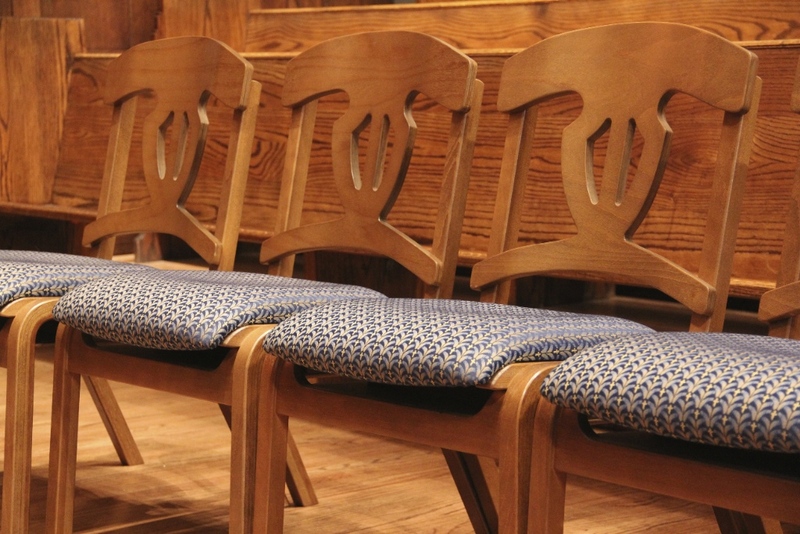 Church Interiors provide wood frame choir chairs that offer an elegant look that today's formal sanctuaries often require. 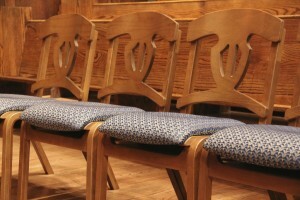 Our craftsmen can coordinate the wood and fabric to match the other furnishings in the church's sanctuary. The dimensions allowed for front to back are ideal for choir loft spacing limitations and bookracks are also easily accessible. 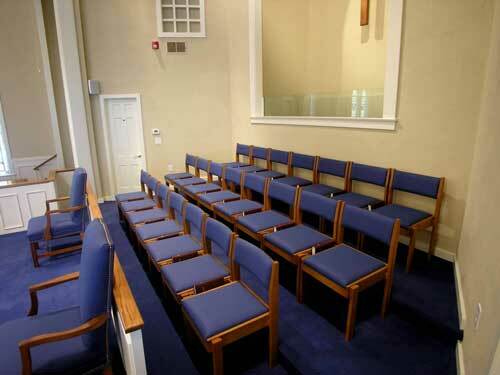 These wood frame choir chairs can also accommodate situations when there are vacant handicap spaces to offer more seating for the congregation when necessary. 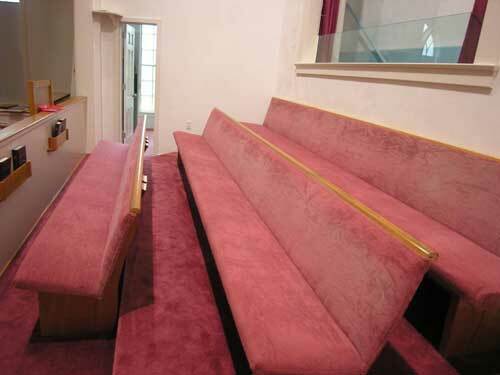 Contact Church Interiors today about choir chairs your church or organization needs.